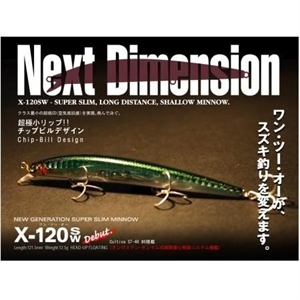 This is a saltwater version of X-120. Its slim and light body (12.5g) is to limit the air resistance to the minimum, giving you the casting distance comparable to that of big minnow. The diving depth is set as the feeding range (40cm) of sea bass. You can retrieve it at any speed as it has a wide retrieve speed range, and gives you the result.